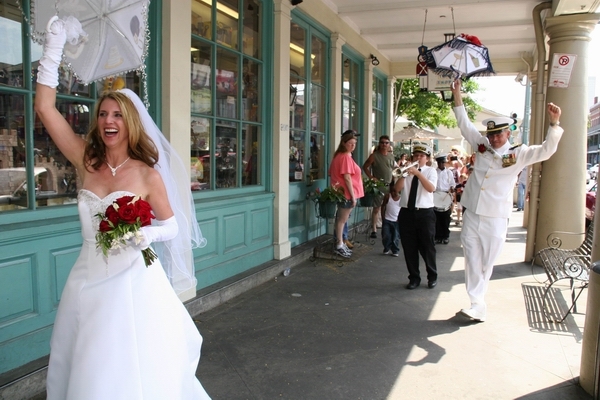 New Orleans Weddings: A Complete & Accurate Wedding Guide to Getting Married in The Big Easy - Welcome to Romance in New Orleans! Current & accurate Louisiana marriage license laws & licensing offices. 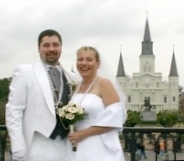 New Orleans locations, upcoming events, links, ceremonies & vows. 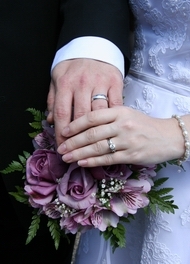 Elopements & Traditional Weddings; Officiant & photography packages for all budgets. Complete, current and accurate Louisiana marriage license laws & licensing offices; New Orleans wedding locations & venues; upcoming events; articles; traditions; ceremonies & vows; elopements & traditional weddings; officiant & photography packages for all budgets. After 35+ years, my husband, David, has proven to me what love, dedication, commitment and marriage is about. I am forever grateful for choosing and being blessed by this man as my Husband -- and again pledging my life and love to him! Thank you so much for a meaningful, appropriate and lovely Vow Renewal Ceremony!!!! We cannot thank you enough for truly the most memorable day of our lives. The wedding was perfectly suited for us. The weather held out and family, friends and Jazz Fest buddies were there. We couldn't have found a more ideal person to perform our ceremony which exactly represented who we are. It really was a unique experience. Samantha's pictures were precisely want we wanted, not the normal staged photographs, but definitely a true representation of the event. Welcome to Romance In New Orleans! Congratulations on Your Engagement, Commitment or Successful Marriage!!!! 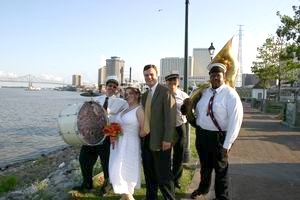 Welcome to the most complete and up-to-date resource for getting married in New Orleans. I am Rev. 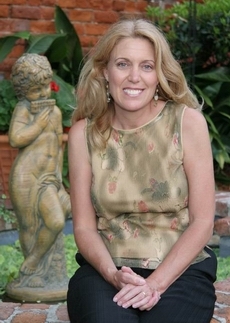 Samantha McGovern. I always strive to provide you with the tools you need to create your dream wedding and by offering packages for every budget, from small romantic ceremonies to grand events. While specializing in small outdoor weddings, I also work with many of the hotels and B&Bs to provide a large variety of venue recommendations for your ceremony. I also specialize in festival weddings and unusual venues including some interesting Halloween weddings. Please take the time to thoroughly explore my website. The Wedding Planning Resources page is especially helpful for links that can help you customize your event. Included is everything from a statewide list of Marriage Clerks to articles about how to write your own ceremony. I've done weddings for people from all over the world. As long as you are not a Louisiana resident, and the ceremony takes place in Orleans Parish, I can waive the typical 72 hour waiting period. Should you have a question you can't find the answer to here, I'd be more than happy to answer it in person. You can reach me at info@RomanceinNewOrleans.com or by phone and text at 504-214-0610. So come on down to The Big Easy, have a great time, and eat, drink, and be married! For Destination and Local Weddings! I am thrilled that you have found and visited my website! I created this site and manage it personally to ensure that current and accurate information is available to you. If you are in search of an elaborate wedding, I am delighted to be considered as your Officiant and will surely provide you with a beautiful ceremony that reflects your feelings for each other and your beliefs. If you are not in search of an elaborate wedding and are eloping or having a small wedding, then this is definitely your site! The majority of my couples are budget-minded -- and from all walks of life, including teachers, nurses, military personnel, college students, paramedics, small business owners, law enforcement, home-makers, and everything in-between who are my heroes, and who make far less income than they deserve!!!! Please feel free to call, text or email me – and I do answer and reply – because I want every Bride to feel like a Princess and every Groom to feel like a Prince!!!! New: Sunrise and Sunset Calculator! Thank you so much for making Saturday such a special day for us!! We had so much fun and have memories that will be with us always!! Thank you again for everything!!! We may have to do a vow renewal with you in the future in city park!! I was on the phone a week or so ago from New Zealand listening as you married my sister and her partner - I'm assuming you remember. I guess you don't have wedding guests on the other side of the world all that often!! I felt fantastic being able to hear all the lovely things they said, and the ceremony you designed was beautiful. Thanks for making their wedding so special for them - I know they enjoyed every minute of it. Thanks for making all of us so happy!!!! You've got a great job!!!!!!! We would like to thank you both for the wonderful ceremony and the great photos. Thank you both also for helping us stumble through it. You two helped us start off our journey with great memories. Thank you for helping to make our day special. We enjoyed our ceremony a great deal. It was very romantic. And Samantha did a wonderful job with the photography. Also, how did you make that picture black and white? Chan and I've receive the CD and we would like to thank you for giving us such a wonderful ceremony and great photos. Everyone enjoyed the moment and photos so much! We will never forget it. Thanks!!!! We are enjoying the photos so much. Family and friends are requesting their favorites!